Colin and Derek facilitated a visioning and goal setting session with the staff of all the Manchester Hospital schools. This diverse team are involved in the education of children and young people who are terminally ill, have mental health needs, brain injury and so on. 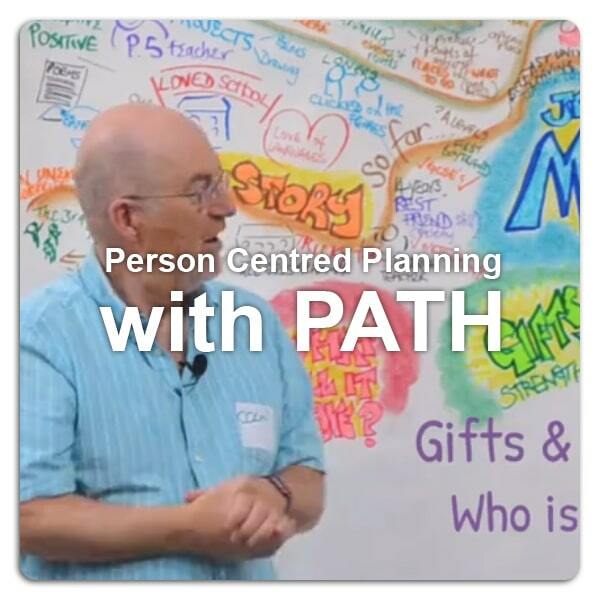 Person centred planning using group facilitated processes such as MAP and PATH were originally created in North America and Canada by Jack Pearpoint, Marsha Forest, John O’Brien and colleagues. These planning processes have an amazing way of and eliciting honest exchanges and mobilising hope in the most difficult and challenging of situations. We at Inclusive Solutions after learning and facilitating such processes for over 20 years are still feeling the privilege of trusting a way of working that can truly engender hope and honesty. What other processes can really be relied uponto do this with any degree of success? How does this come about? What are we learning? Colin and Derek provided training on Keys to Inclusion for SEN team of Kensington, Chelsea and Westminster. Powerful and moving session. 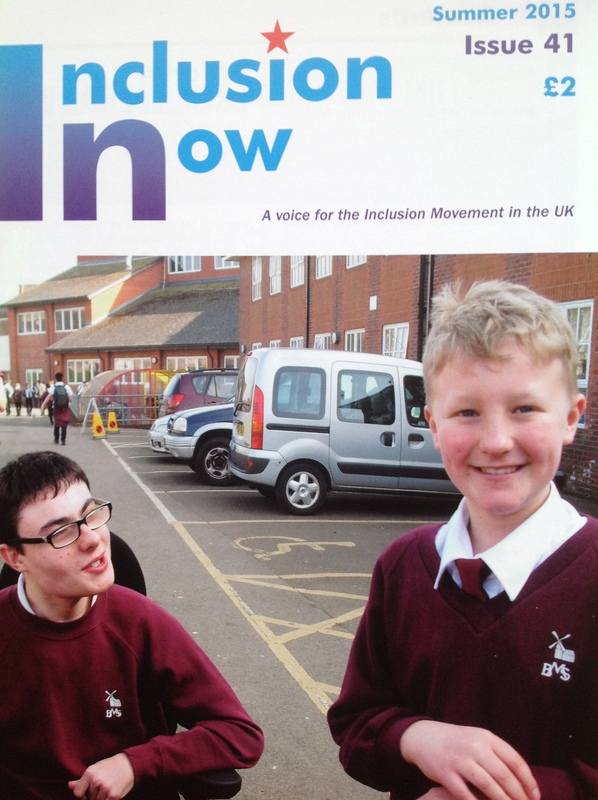 Inclusion is not a neutral subject and SEN decisions certainly are not. Many young people who do not use spoken language to communicate want friends and positive relationships with those other youngsters they associate with. Often times the same young people have intensive work from very thoughtful therapists and educators attempting to create technological as well as lower tech communication systems for their use. What is often striking is that the communication systems are not being used by other young people, only professionals trained in their use. The young person themselves can also sometimes seem reluctant to make use of them until confronted by the AAC teacher or Speech and Language Therapist. Many technical and even paper systems rely on 1: 1 exchangerather than for group participation. All this can be confusing and frustrating for all involved. Friendships and social inclusion with other young people requirescommunication of some form and nonverbals only take us so far. After all -children go to school to be included by other children not just by the adults. Many times, we have encouraged families and educators to be intentional about building relationships, to create conditions in which friendship can grow. Our Circle of friends work is probably the most well recognised approach to this both in the UK and Eastern Europe. The approach depends upon a group of young people recruited through empathy building who want to create change around a focus student, doing whatever it will take to have invitations, phone calls and social media glow around them. Colin, Claire and Beth Darwin facilitate a session with volunteers planning how they wish to support homeless people in Suffolk to find community, a good life and a rich spiritual life if possible. Naomi WIlliams on her first outing for Inclusive Solutions carries out delicate and sensitive training on tackling unconscious bias towards racism and other forms of prejudice. Well received from the Nursery team from deepest Bermondsey – as you can hear. Tara Flood and Colin Newton spent a day with Partners in Policy makers in Scotland teaching the ‘keys to inclusion’ to parents of disabled children and disabled self advocates. Colin and Elliot Newton followed up earlier 2 day training in Stirling with MAP process. Aimed at the practitioner, this resource is a must have for those wishing to run and be involved with Person-Centred Planning. The resource covers a wide range of PCP approaches, including MAPS, PATHs and One-Page Profiles, amongst others. Each is brought to life with examples, practical ideas and beautifully vibrant illustrations that engage the reader from start to finish. Useful as both a practical resource as well as a reference book, it will prove invaluable to anyone interested in PCP. This will certainly be a key resource on our programme and a must have resource for all other training programmes and practitioners who wish to adopt a person-centred approach to planning and assessment. ‘Person Centred Planning Together’ Book reviewed positively in Educational Psychology in Practice – this month! Colin and Derek provided 2 days on person centred planning with families using the MAPs process. Family Intervention Intensive and Support teams from Nottinghamshire really engaged with and embraced this way of respectful and inclusive working with families.